Like most book reviewers I know, I have a towering pile of novels to read. But even though I valiantly try to work my way through them in the order they arrive I just can’t. There are some authors whose books go straight to the top of the heap. Why? Because I can’t wait a single second longer to read them. Jane Harper is a case in point. Her first novel, The Dry, was one of my favourite books of 2017 and I recommended it to everyone I know. As I wrote at the time: “Jane Harper’s debut had everything I want in a novel – a gripping plot, strong characterisation and a real sense of place.” Her second, Force of Nature, was equally compelling, so not surprisingly I’ve been on tenterhooks waiting for her third. Well, I’m pleased to report that The Lost Man, out this month, is her best yet. I read it in one sitting, marvelling at Harper’s ability to create characters you really care about while at the same time building the sense of tension and mystery so skillfully that you have no idea quite how the novel is going to end. 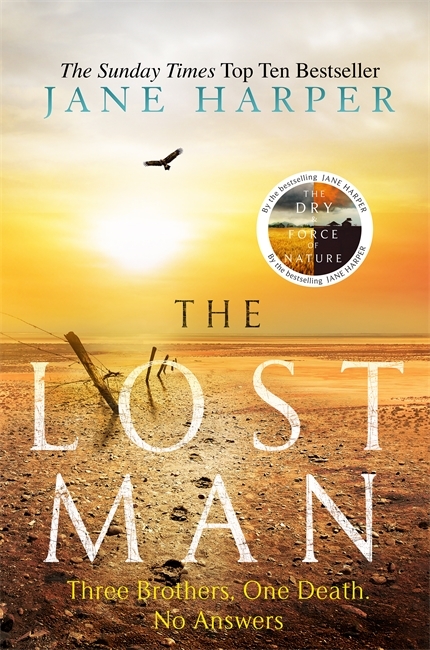 Once again, Harper has set her novel in an isolated part of the Australian outback, where life is tough, memories are long and the heat is so intense that it’s impossible to withstand for more than a few hours. 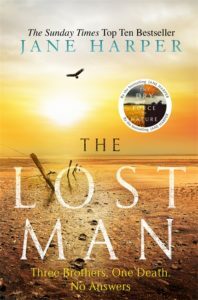 The Lost Man is the story of three brothers, Nathan, Cameron and Bub Bright, and their fractured, difficult family. Its complexities are drawn into sharp focus when Cameron, the middle brother and seemingly the golden boy, is found dead near a weather-beaten gravestone that marks the boundary between their vast cattle properties. For some inexplicable reason it looks as though Cameron left his car, which was in full working order and stocked with enough water and food supplies to last a week, and wandered off – something anyone living in the outback would never do of their own volition in a million years. Told through the eyes of Nathan, a loner whose wife has left him and whose teenage son only visits during the school holidays, the story gradually reveals the family’s shocking history, laying bare its secrets, lies and misapprehensions. Harper is definitely a writer who’s going places. She’s won a stack of awards and The Dry has been optioned as a movie by Reese Witherspoon. Incidentally, the Darlington & Stockton Times, our local paper when we lived in North Yorkshire, must be so proud of her. Born in Manchester, she moved to Australia with her family when she was eight and returned to the UK as a teenager. She then studied English and history at the University of Kent before getting her first job as a trainee reporter on the good old D & S Times. She moved back to Australia in 2008 and now lives in Melbourne with her husband and young daughter.